Bulgogi House is a popular Korean barbecue restaurant at Setia Alam. 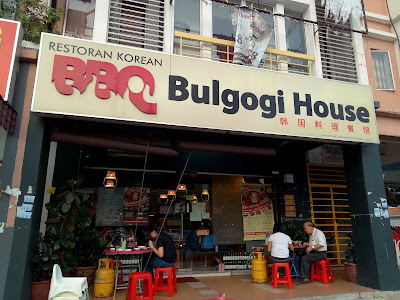 It is just opposite of Restoran Soon Kee Seafood. 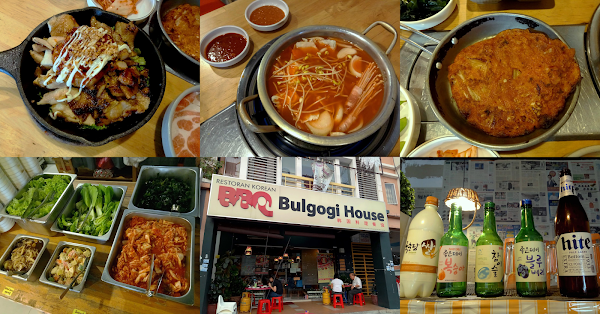 Bulgogi House draws a large crowd every evening. 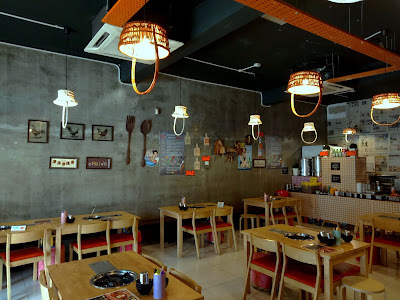 As the number of tables is limited, advance reservation is recommended. For Super Refill, customers can choose the type of soup for hot pot. 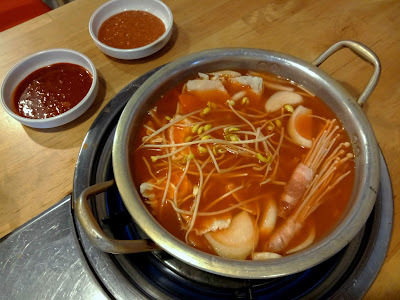 Doenjang jjigae (된장찌개) is made from fermented soybean paste, while kimchi jjigae (김치찌개) is prepared from fermented napa cabbage. We opted for the latter as we wanted to try something spicy. 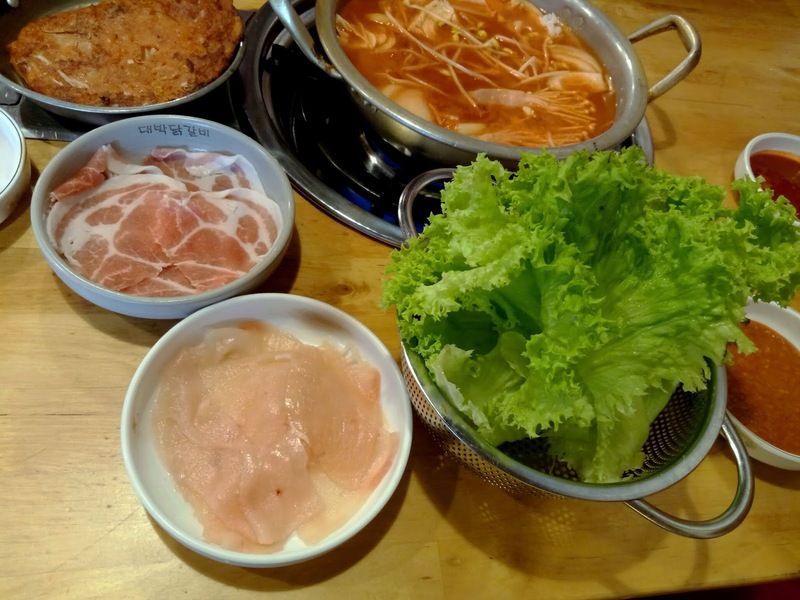 Sliced Pork (삼겹살) and Sliced Chicken (닭구이) are served raw and are meant to be cooked in the hot pot. Both meats are not marinated, which is a real bummer because they would have tasted better. Once cooked, the meat slices are typically eaten with lettuce (상추), doenjang (된장), gochujang (고추장), green chili peppers (청양고추) and garlic (마늘). 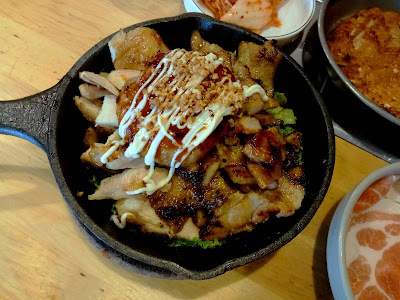 BBQ Chicken (닭갈비) and BBQ Pork (돼지불고기) are served sizzling hot in a skillet. Between the two, I prefer the pork version as it is very flavorful. 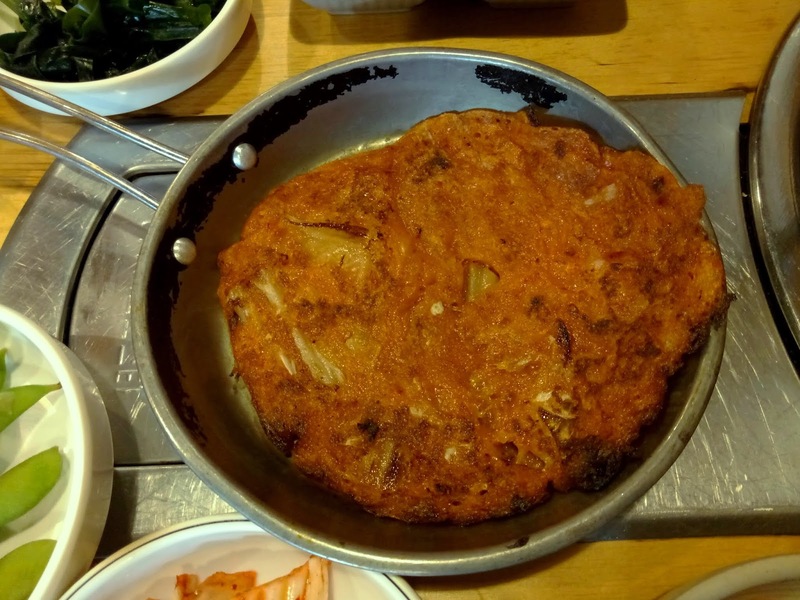 Meanwhile, Tteok-galbi (떡갈비) is the special dish today. The patty is consists of marinated minced pork. 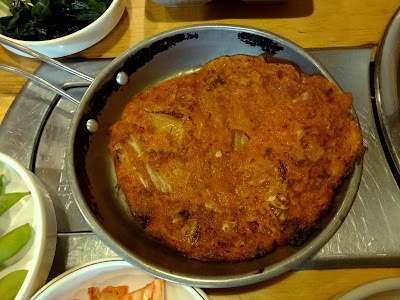 Kimchi Pancake (김치전) is made from flour batter and cabbage kimchi (배추김치). 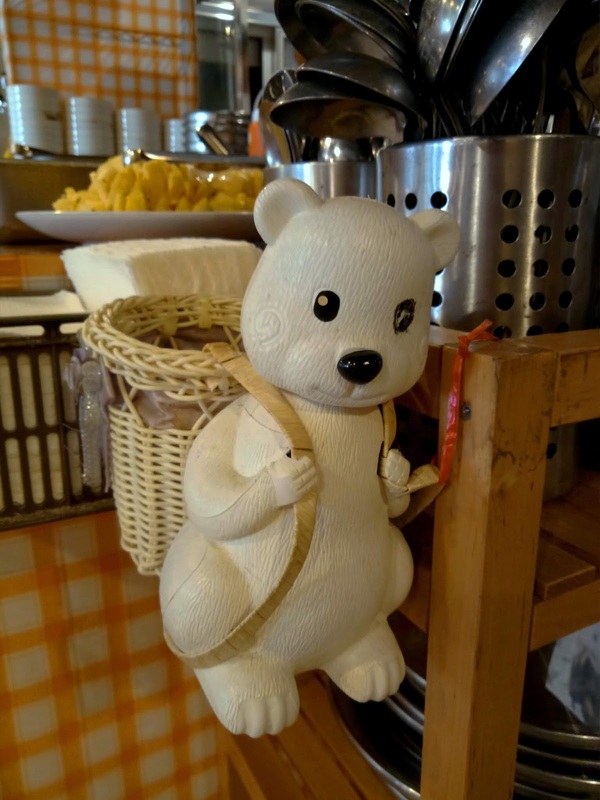 Although the pancake is tangy, I feel that it is slightly dry. On the other hand, the Steamed Egg (계란찜) is prepared just right. Moving on, Tteok Kkochi (떡꼬치) is a steamed Korean rice cake served on a skewer. 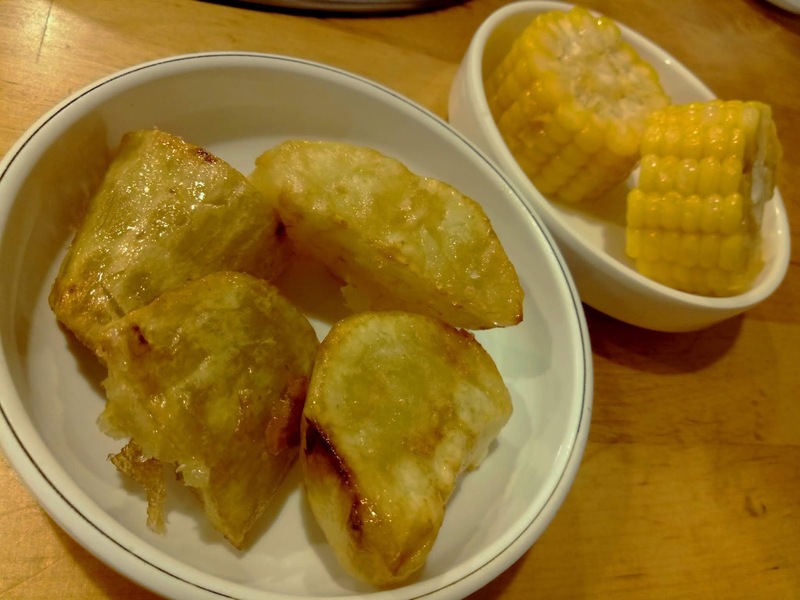 The seasoning is a mixture of sweet, spicy and tangy flavors. This snack is quite appetizing and appeals to my palate. 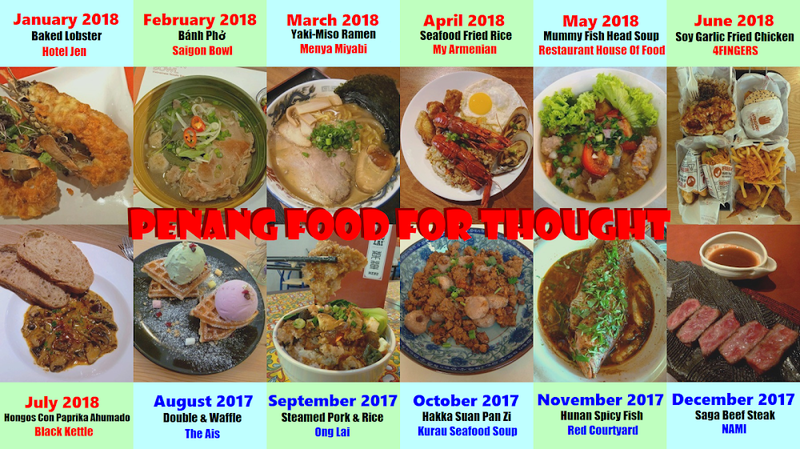 The entire set of 8 dishes will be served by default. To order extra helpings of any of these dishes, place one of the colored spoons into the ordering basket. 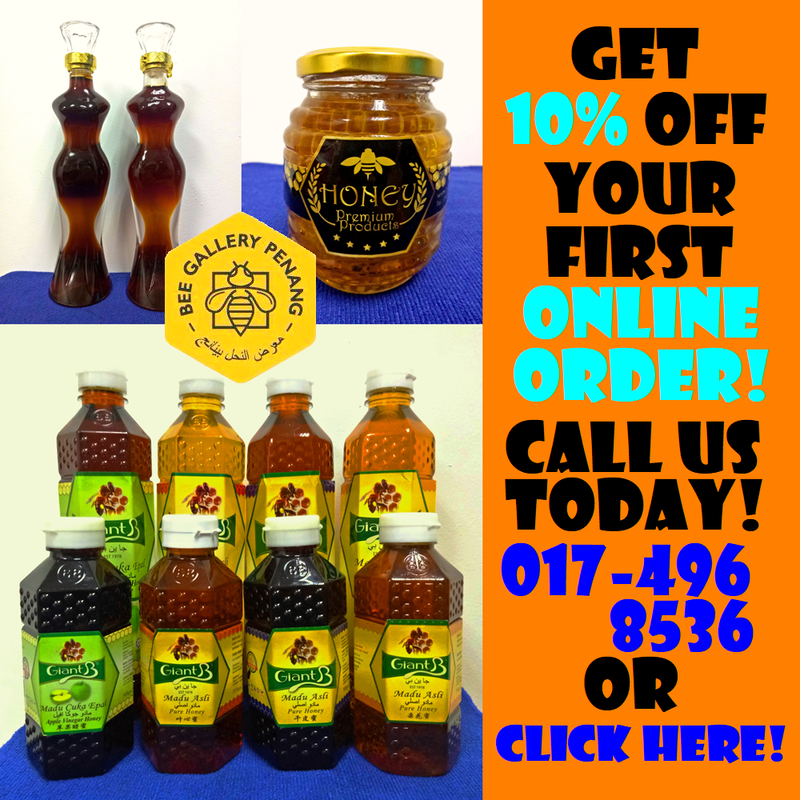 Customers can order as much as they desire as long as there is no wastage in the end. There is a 1.5-hour time limit though. 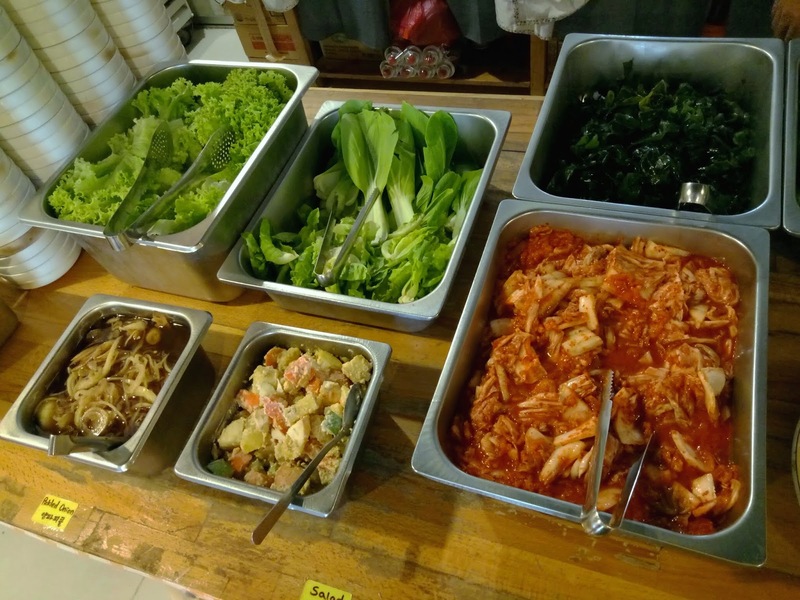 Banchan (반찬) is a collection of side dishes in Korean cuisine. Customers can help themselves at the self-service bar. 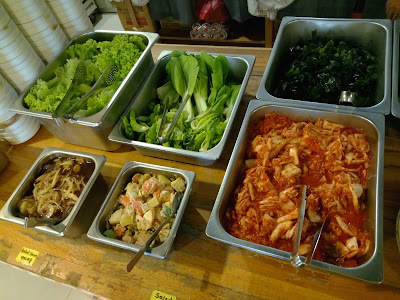 Served today are cabbage kimchi, seaweed (미역), pickled onion (양파피클), salad (샐러드) and edamame (에다마메). 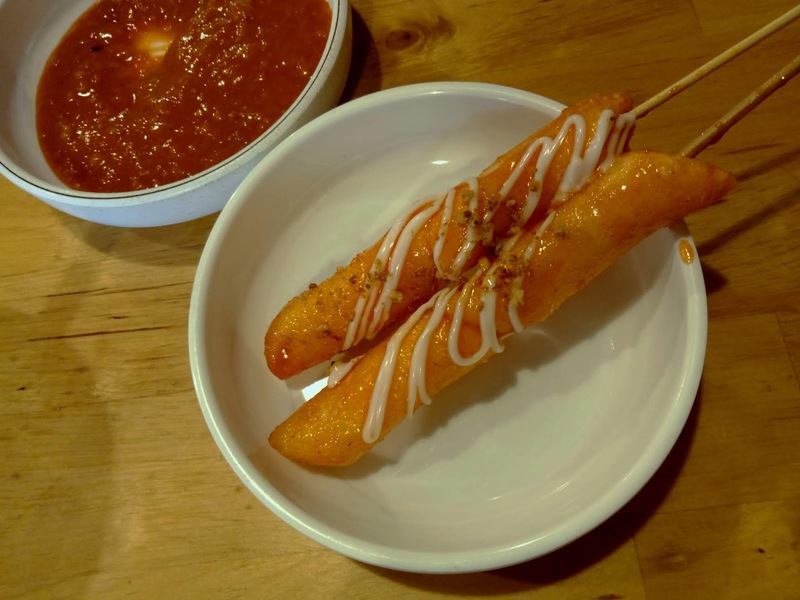 One of the more noteworthy banchan items is candied sweet potato (고구마맛탕). The sweet potatoes are coated with syrup and then fried. I really enjoy the pleasant sweetness of this snack. Apart from iced water, drinks are not included in the buffet package and have to be ordered separately. 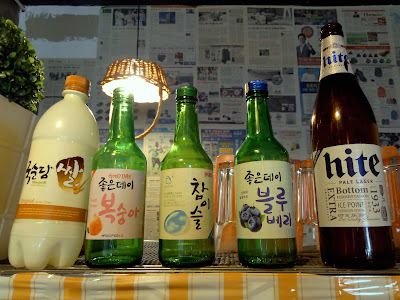 Alcoholic beverages include rice wine (막걸리) and soju (소주). Unfortunately, we did not have the opportunity to try them today.